We’ve written a lot about drone professions in the past. We’ve talked about how to start a drone business, what types of businesses there are, and the state of the enormous and ever-expanding industry of drone manufacturers and drone services (including photography and videography.) But today we’re looking at one of the most important aspects of any drone-based business, something so crucial we felt it deserved its own article: drone advertising. Marketing a drone company is difficult since, like we said, you’re going to have a lot of competition in any drone industry or drone service sector. But it’s something you can’t afford to ignore or just do by half-measures. If you’re not reaching clients, you’re not making money. 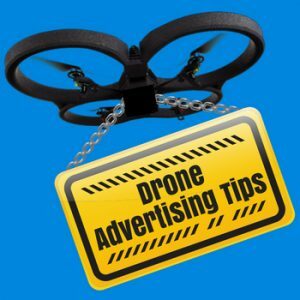 So here’s a few tips to take your drone advertising game to the next level, as well as instructions for advertising right here on Dronethusiast.com. 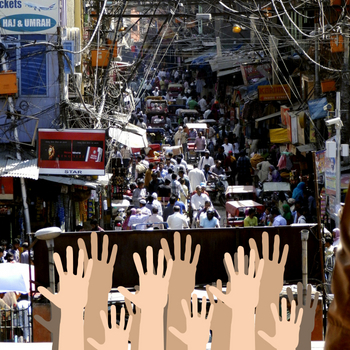 At the highest level, advertising is about creating a pattern of association. That makes it sound disingenuous, and for a lot of lesser companies it can be – think of the old tobacco commercials that worked to associate smoking with being cool and masculine and attractive. But the best advertising creates a genuine association. For example, DJI has built a reputation for innovation by bringing genuinely innovative drones into the market time and time again. This sort of brand association lasts longer, is more ethical (always a plus) and will perpetuate itself through word of mouth. The goal of drone advertising is to get people to hire your service or buy your product, simple as that. If no one knows about your company (and, perhaps more importantly, the benefits of what your company does) why would they ever offer you their patronage? We often think of advertising as taking the form of literal advertisements – promoted Facebook posts, Google AdSense ads, the stuff they make you watch in movie theaters before the main event, etc. But advertising can be the word-of-mouth information people spread about your business, or reviews of your products on prominent websites, or YouTube vlogs people make about you. 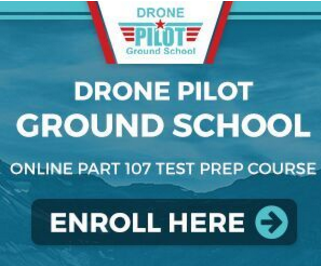 You’ll notice that most of those examples involved the Internet in some way, which is why the first step of any drone advertising campaign has to be building a website. After that, you’ll want a marketing strategy, marketing mix, and marketing plan for your drone company. A marketing strategy is what you want to achieve with your drone advertising. This should be a quantifiable goal, like 10 new clients or 15 more drones sold every month or something. The marketing mix is the mixture of factors you can control and manipulate in order to achieve your marketing strategy. These are usually broken down into the Four Ps: Price, Product, Place, and Promotion. Price is the literal price of the good or service – we’ll discuss that later. Your product is the thing you’re trying to advertise. The Place is the point of sale (which more often than not is now a website instead of an actual physical location.) The Promotion is what we typically think of as advertising, and may include the devices mentioned two questions above. The marketing plan is simply how you plan to use the four factors in your marketing mix to achieve the goals in your marketing strategy. What’s different about advertising a drone company? In truth, not a lot. Drone industries and services do face a few unique marketing challenges that we’ll cover in more detail below – the technology is still fairly new, the word “drone” is often associated with acts of military violence, and many people may not understand what value something like drone photography provides over traditional photography. But your strategy for confronting these and the other issues faced by your unique business will be similar to the strategies adopted by any other small business. What the modern drone photography and videography customer is looking for more than anything else is convenience. Focusing on providing the best possible experience to your customer with the absolute minimum of effort on their part is the best way to make yourself stand out from the crowd. As a result, your website and your process for getting clients to contact and hire you is going to be the most important aspect of your drone advertising campaign in this field. You’ll also want to find ways to reach out to your customers, instead of having them come to you. Once you have customers, you want to keep them coming to you for all their future events, so you might consider how you can advertise through loyalty programs and other post-purchase services. Some kind of E-mail newsletter could be useful here, but it could also be annoying, so use a certain amount of caution if you’re going that route. Finally, consider registering with a business directory of some kind. Business-to-business marketing is very different from the kind of business-to-client marketing you need for a drone photography business. Having a nice website or cool loyalty programs doesn’t matter very much at all in this circumstance. Instead, you need to advertise two things: price and quality. Then, think about how you’re going to set your price and how you’re going to advertise that price to your prospective customers. This is a great guide to pricing an industrial drone business from another website. In brief: you need to study the local market and the other companies you’re competing with so that you can price yourself competitively. You also need to think about your price not as a measure of the expensive technology you’re using, but as a measure of the value you’re providing for the user. It’s better to lose money on the first couple jobs if it’s going to get you enough business to keep going than it is to price yourself out of the market because you want to pay off an expensive drone on your first gig. Advertising a drone manufacturing business is very difficult in 2019 because DJI is essentially untouchable. You will never have their level of brand awareness or popularity, and it’s unlikely that you can afford to have the wide range of drones they have or that you can meet their level of innovation without pricing yourself out of the market. What you need to do, then, is establish a niche for yourself. Take a look at the businesses we identified as the best new drone companies of 2019. Altair Aerial provides extremely high-quality beginner drones, reaching a customer base that will be turned off by the expensive DJI models. EHANG is trying to get into passenger drones – their main goal is to create the first drone taxi. And Flyability wants to make flying indoor robots with extremely complex technology and reach out to first adopters who may feel that DJI has grown stagnant. As a new drone manufacturer, finding “your thing” and segmenting yourself from DJI and the rest of the market should be your top drone advertising priority. 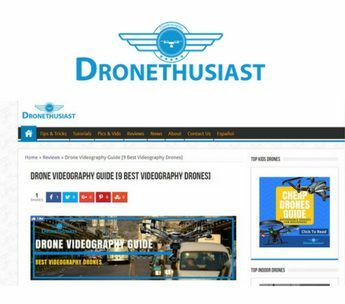 We would be remiss not to mention that you can begin your drone advertising journey right here on Dronethusiast.com. We provide sponsored posts as well as advertising space in the header and sidebars, and as an established website of highly knowledgeable drone consumers we can help you find a better class of clientele for your drone service business or new drone products. You can learn more here or contact us with an offer at mike@dronethusiast.com. 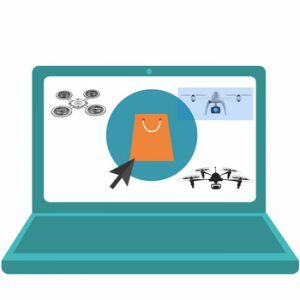 Hopefully this guide has taught you everything you need to know about drone advertising and has started you on the path to marketing your successful drone business. Who knows – with the right product and the right advertising, maybe someday we’ll be covering you or one of your fine products in a dedicated article on this very site! In the meantime, please be sure to let us know if we missed any drone advertising information or questions that you have – we want to update this article regularly and make sure we’re keeping it up-to-date with the best information possible. This is great info, I’m planning to do some advertising this helps a lot. would you please inform me about vendors of these drones (or UAV)? I’m now designing my first & new Drone Photography & Vídeo Add.